Available as a set with the Wowder Brush for $45 or sold separately for $27, Wowder is a loose setting powder designed to blur, set, and mattify. It is available in three shades and I have here "Light/Medium", a light sheer beige suitable for most light to medium skin tones. You get 7.2g of product in a unique plastic jar. Instead of a sifter dispenser, the opening of the jar is covered with a stretchy layer of fabric similar to that of fishnet stockings. The idea is really neat but I do find it a bit tricky to work with. To properly load up a brush, I have to jab the fabric net quite aggressively to get enough product to come out. Usually, with a sifter opening, I simply loosen the cap, turn the jar upside down, and give everything a gentle shake to release some powder but with this, I really have to tap into the fabric, which causes a lot of dusty kick-up. I'm getting more and more used to the packaging but I would still prefer a simple sifter opening. Now onto the formulation! 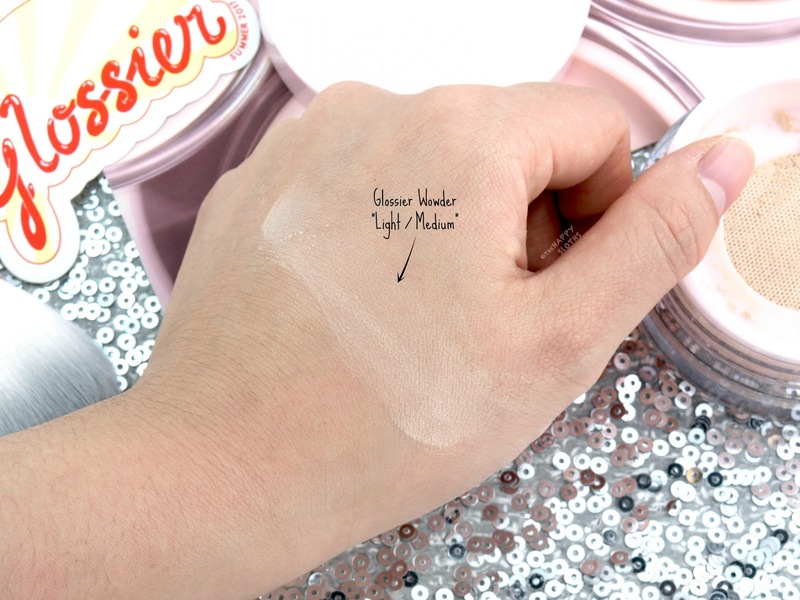 Although advertised as "not a powder", the Wowder is a pretty standard setting powder that's lightly tinted to provide a little extra coverage. Nevertheless, the product is well formulated with a lightweight and silky texture. Whether used over bare skin or a liquid foundation, Wowder blurs pores and removes shine. I like that it's not cakey or heavy. The matte finish still looks natural and skin-like, perfect for those that strive for the no-makeup makeup look. Below is a demonstration of Wowder over bare skin. As you can see, the powder is pretty sheer. If you look closely, you'll see that it definitely camouflages some discoloration and minimizes the looks of pores and shine. 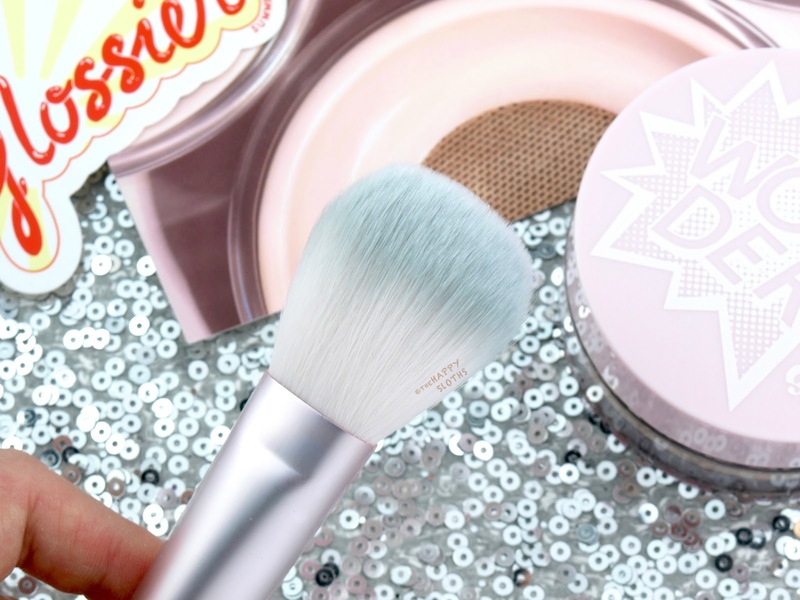 Sold separately or paired with the Wowder, the Wowder Brush is a powder brush specifically designed to be used with Wowder. The soft and fluffy synthetic bristles are tapered to a fairly slim profile. Although the quality is superb, the brush is not great for an all-over application. 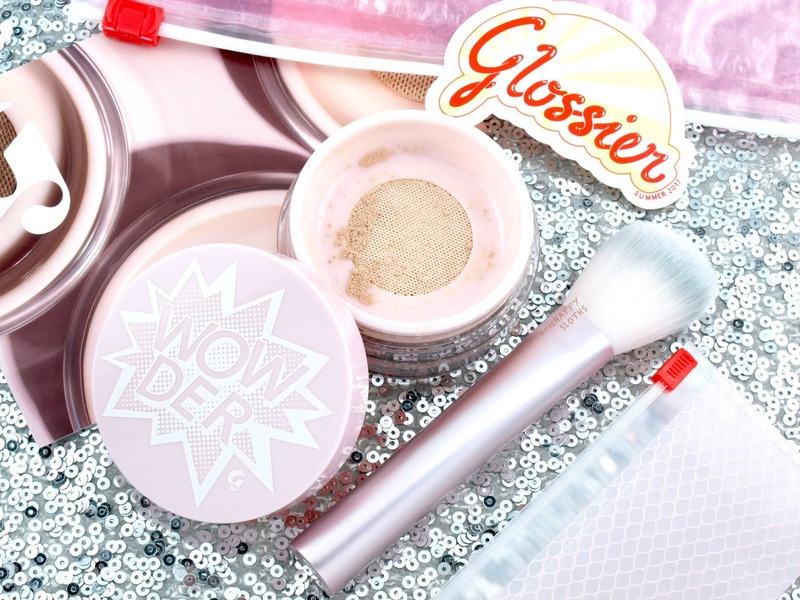 I personally find it too small and sparse to actually stipple on the Wowder powder. Additionally, the shape of it is identical to that of a blush brush and it honestly works better for that purpose. 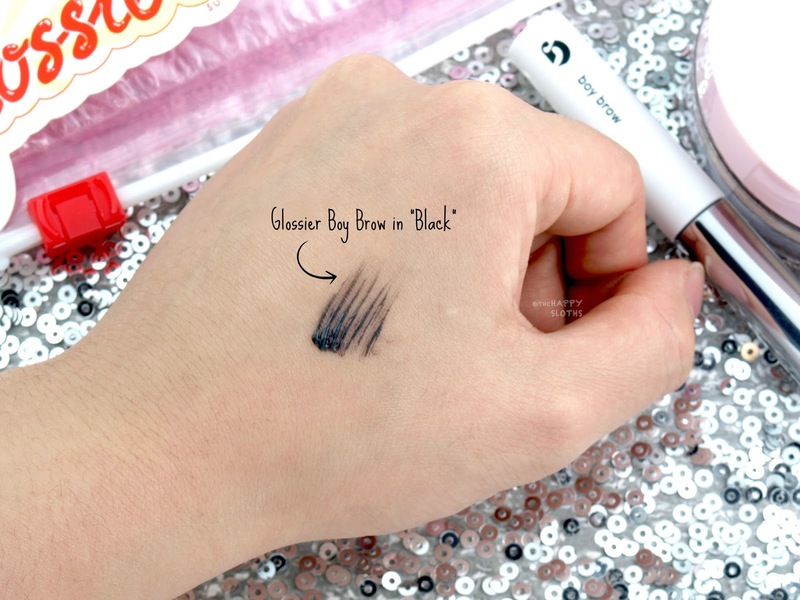 Glossier Boy Brow in "Black"
Also available in blonde and brown, Boy Brow is a tinted gel designed to define and tame the brows. The shade "Black" has a soft sheer gray-black tint perfect for those with dark brown or black hair. 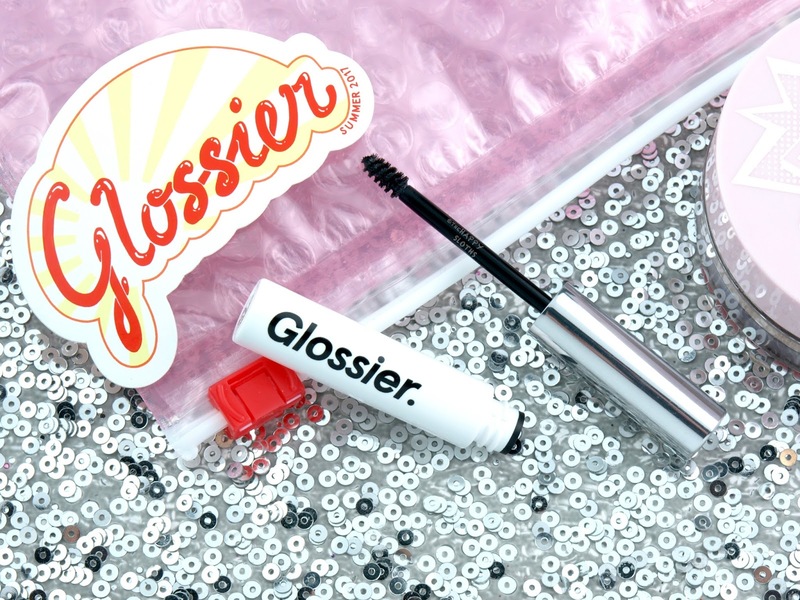 The packaging features a mini spoolie with a tapered end that provides a precise application so you can easily comb through all your brow hairs without making a mess. I like that the formulation sets to a soft hold with no crunchiness but it's not completely smudge-proof. Overall, this is a great everyday product if you already have a decent set of brows that only require a little definition and grooming. 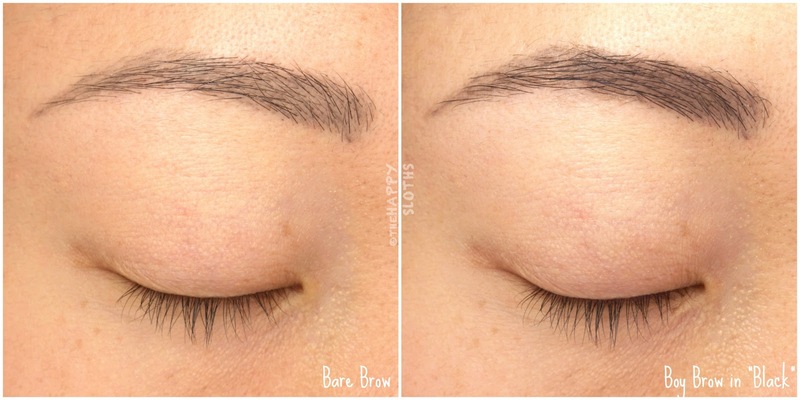 However, if you are like me and only have a few sparse brows, a brow pencil will do a better job. Below is a light application of the Boy Brow in "Black". As you can see, the gel definitely provides some color and definition but on the bald spots where I have no brow hair, the product won't adhere as well and thus my brows still look a little patchy. 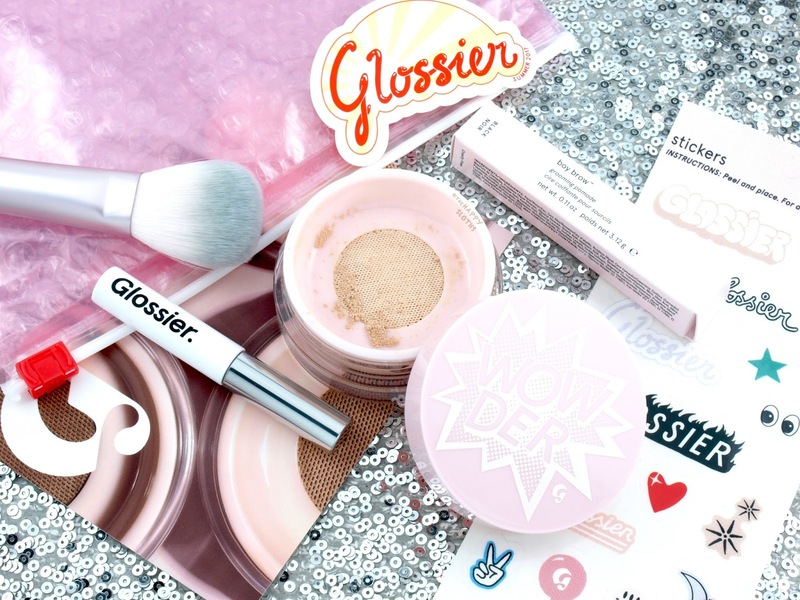 Have you tried anything from Glossier? 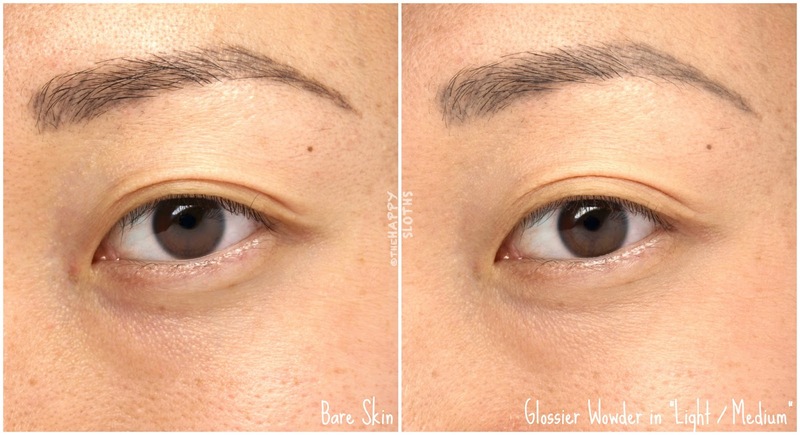 Is either Wowder or Boy Brow on your list? Share with me in the comments below!